We may not yet have Destiny on the PC but we might feel some small effect of it soon. Josh Hamrick, senior gameplay designer on Destiny, has upped sticks from Bungie and moved to Skyrim-developer Bethesda. There’s no word on what he’ll be working on, whether it will be the next Elder Scrolls game, the rumoured-to-be in-development Fallout 4, or some unnannounced project. Bethesda! It’s Bethesda! I’m going to @BethesdaStudios and I’m super stoked about it!! :-). I hope you’ll continue to follow along with me! Previous RT references what is commonly referred to as “a good get”. I know the @BethesdaStudios folks are excited to get Josh on board. 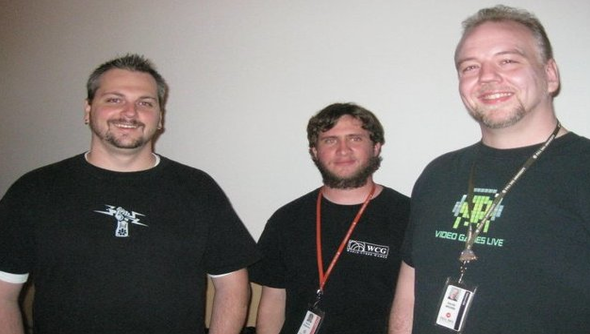 Hamrick had worked at Bungie for the past six years, joining the studio when it was still making the Halo games. Clearly, he’s a lot of experience developing shooters which would suggest he would be best suited to working on the Fallout series, but the RPG basis of Destiny fits itself to both of Bethesda’s big series.